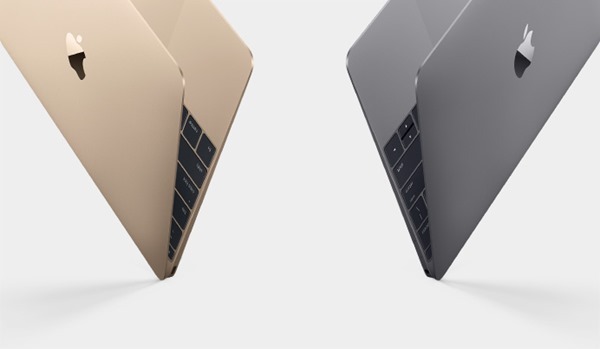 Apple has just announced 12-inch MacBook with an all-new design and a super thin profile. More details on its features, specs, price and release date can be found right here. 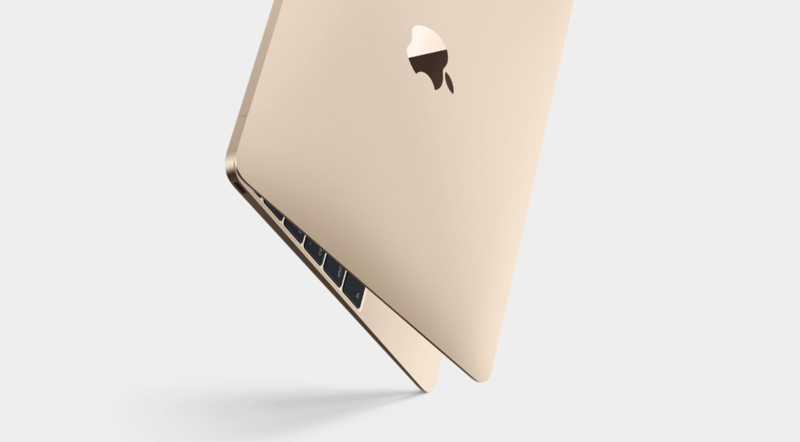 The first, and most unavoidable point to make about the new MacBook is that it’s thin; unprecedentedly so. 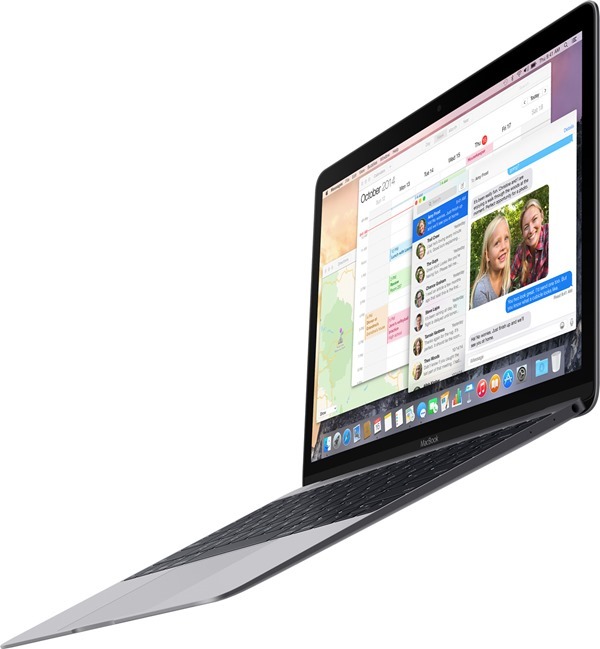 It manages to be 24 per cent thinner than the MacBook Air, which was once described by Apple as “the world’s thinnest notebook,” and at just two pounds, it’s not all that bulky, either. Like the Air, its profile is wedge-like, so gradually increases in depth the closer you get to the hinge. Meanwhile, the keyboard has also been completely revamped — also in line with numerous rumors and reports — with Apple adopting a butterfly keyboard system that is thinner, and with each key getting its own individual LED backlight, it should offer a more pleasurable typing experience all round. Where we’ve become accustomed to MacBook’s arriving in silver, this model follows the precedent set by the iPhone and iPad with Silver, Space Gray, and Gold. No prizes for guessing which will sell in the highest numbers! With such a slender, light build, it would seem almost unfathomable that Apple could include a Retina display, but somehow, the new MacBook’s 12-inch panel manages to offer a crisp, high-res experience akin to the iMac and MacBook Pro. With a 2304 x 1440 resolution, the display is also edge-to-edge, doing away with the thick, metallic bezel that many have long since loathed with the MacBook Air. With the internals, Apple has had to downsize things considerably in order to keep the new MacBook ticking over. The logic board is 67 per cent smaller than that of the Air’s, while Apple has also ditched the internal fan. Meanwhile, the processor therein is an Intel Core M 1.3GHz, turbocharged up to 2.9GHz. Since the logic board is so small and dense, there’s plenty of space for battery, and Apple claims that the new MacBook is capable of “all-day battery life.” The 9 hours of Web browsing or 10 hours of video playback is possible thanks to newly-designed terraced batteries, and if this thing really can last a whole day given its thinness and Retina display, then it’s hard not to be in awe. Elsewhere, the MacBook is kitted out with USB-C, which is, in fact, the only port on the entire machine (save for a headphone jack). It will see to USB, DisplayPort, Power, HDMI and VGA duties all on its own, and while some will surely decry this change from Apple as they resisted when the MacBook Pro ditched the optical drive, the space saved allows the product to evolve. Base model: $1299 with 256GB SSD and 8GB RAM. $1599 for faster processor and 512GB SSD. Evolve, it most certainly has with today’s announcement, and whether it’ll be deemed evolutionary or revolutionary is a matter to be decided. 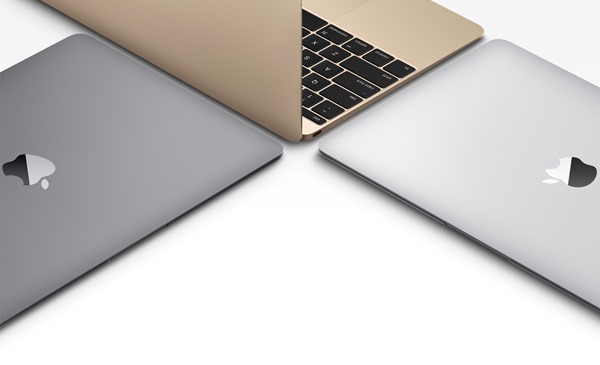 For now, though, what do you make of the new MacBook? Share your comments with us below! That’s not their own standard, it’s the next standard. There are new desktops shipping with the new USB standard. New Egg had some new PC hardware that supported it. Hopefully the MacBook doesn’t got too hot and fry without an internal fan to it there might be some issues. Looking to get the gold one. USB-C is compatible with standard USB. Yes, Buy a specially made apple accessory to do that where it does not come for free with a $1300 Laptop and that alone is more than stupid. Technology also needs practicality is so many ways. And yet 90% of the “technological” products (right now) that supports the standard USB. There should have been Old and new. Because of these apple price standards , Every other competitors technological products are extremely expensive or at-least getting expensive. the hideous keyboard layout stolen from the other most retarded company of monkeys – monkeysoft. Wonder what you gonna do when the USB port break. what if I’m doing a presentation and the battery level drops? This is really gorgeous and has really setup a new standard as MBA did before. There’s no doubt that many manufacturers will follow the suit. Get ready for the revolutionary pr0gram that will change the making money online industry forever. How Can I EArn Money With Automatic M0bile Cash ? Move to a better life,,,,,,…. I think he means what if the Macbook is connected to a projector and the batter is low. There is only one port so you have to either choose to charge the laptop or continue with the presenation. They offer an adapter, to split the USB-C into multiple ports. What would you do if the USB port breaks on your current laptop? USB-C is the new USB standard. Most devices will follow suit shortly. This isn’t something ‘new’ or ‘proprietary’ from Apple – USB-C isn’t something they made. This is an ultra portable laptop. They only had room for one main port, and they chose the most dynamic one. This isn’t a laptop for someone that uses 2+ USB ports daily. If this doesn’t suit you, there are plenty of other options. This is nice. I just hope the fanless feature doesnt mean overheating which in the case of fanless, ssd should be standard. People will complain about the one Type C connector… But in reality, most people dont even use the connectors on a everyday basis and they just sit there and collect dust. I currently leave my 126gb jetlite drive memory card inserted into my mackbook pro retina as a way to safely download content and media and keeping it with me without having to use any space from my 256gb ssd on my mbp, which i use 100gb of to run windows 7 through parallels (best sofware for that, better than VMware). The jetlite drive memory card helps me avoid carrying an external harddrive or usb flashdrives… They should have left the memory card port atleast. That should be included, not a $79 option. I am getting it.. as long as it can run Photoshop and Illustrator, i dont care how fast it is or what a pro is better at..